Efforts to alleviate world poverty in the last twenty years have proven relatively successful, with the percentage of people living in extreme poverty being cut nearly in half. But, there is still much work to be done. Below are the most up-to-date, quantifiable poverty statistics from the world’s top data gathering and humanitarian organizations. The information below compares wealthy to poor and rural to urban populations on topics such as child mortality, sanitation and hygiene, life-expectancy, malnutrition, and extreme poverty. Behind every statistic is a real person facing genuine challenges. In addition to economic strains, poverty affects feelings of worth and mutes the voices of the poor. These nine world poverty statistics can seem overwhelming, but real change is happening in some of the most rural and remote parts of our world. #1. Globally, 10.9% of the world is living on less than $2 a day. A third of the entire urban population is living in a slum, which are unsafe or unhealthy homes in a crowded city. In Sub-Saharan Africa, 42% of the population is living at less than $1.90, the World Bank’s international line for extreme poverty. Those experiencing poverty to this extent can often feel a lack of control over their own outcomes and circumstances. With 42% of Sub-Saharan Africa living in extreme poverty, billions of people may be experiencing a reduced understanding of their own potential. #2. For every 1,000 children born, 41 will die before they turn five years old. Although tragic, this is remarkable progress when compared to UNICEF’s 1990 report of 93 deaths per 1,000 births. Most under-five deaths are caused by preventable diseases like malaria, diarrhea, and pneumonia. The most common contributors to these diseases? Malnutrition, contaminated water, and poor sanitation and hygiene. In Sub-Saharan Africa, 1 in 3 children will experience stunted growth because they are not getting enough food, or not getting the vitamins they need in their food. Stunted growth also affects cognitive ability, making it more difficult for children to excel in class. 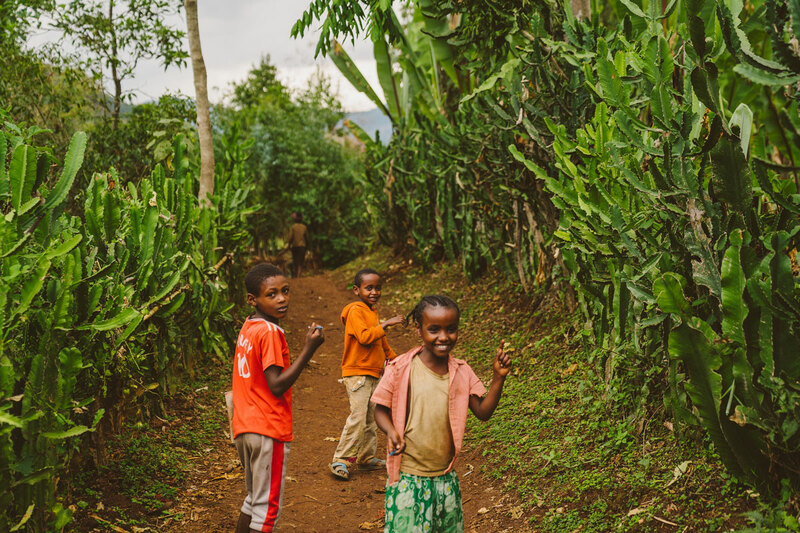 Children run and play in Ethiopia. #3. Globally in 2016, over 63 million children were not attending school. That’s tens of millions of school-aged children in the world who miss out on their education. According to the World Bank, Africa has experienced rapid increases in school enrollments, with total net enrollment of children in primary school expanding from just 55% in 1995 to 74% by 2012. Still, literacy rates are lowest among young women in South Asia and in West and Central Africa. Download the 2018 World Poverty Report here. #4. Of all the children living in extreme poverty, 75% live in Sub-Saharan Africa and Asia. Children are disproportionately affected by poverty. According to World Bank Data from 2016, half of the population living in extreme poverty are children. Of those children, three-quarters live in Sub-Saharan Africa and Asia. #5. Today, approximately 12% of the world’s total population is still practicing open defecation. Open defecation means people are defecating outside, whether that be in a field or behind a home or a bush. When people defecate outside, human feces find their way into food and water sources, polluting and causing disease among people in those communities. #6. Rural populations around the world are four times as likely as urban populations to be drinking contaminated water. The discrepancy among rural and urban populations is striking, with rural populations experiencing extreme poverty at much higher rates than their urban neighbors. Access to safe water is a major marker of socioeconomic classes globally. Families who are drinking water infested with disease fall sick much more often, causing them to miss work, school, and spend their income on health clinic fees. In addition, the World Health Organization found that rural families are three times as likely to walk far distances for safe water. In developing countries, walking long distances for water almost always falls on the shoulders of young girls or women; the travelers are vulnerable to assaults on these daily journeys, and the time investment often results in girls missing school. A young girl and her brother bathe in a pond that families gather water from. #7. While 81% of urban residents have the ability to wash with soap and water, less than half of rural populations have the knowledge and resources to manage their own health in this way. UNICEF reports that the simple practice of washing your hands can reduce preventable (and in many cases, deadly) diseases by 40%. The behavior is the most effective and affordable hygiene practice that a community can undertake. But, those experiencing extreme poverty often lack this knowledge and clean water to effectively practice handwashing. 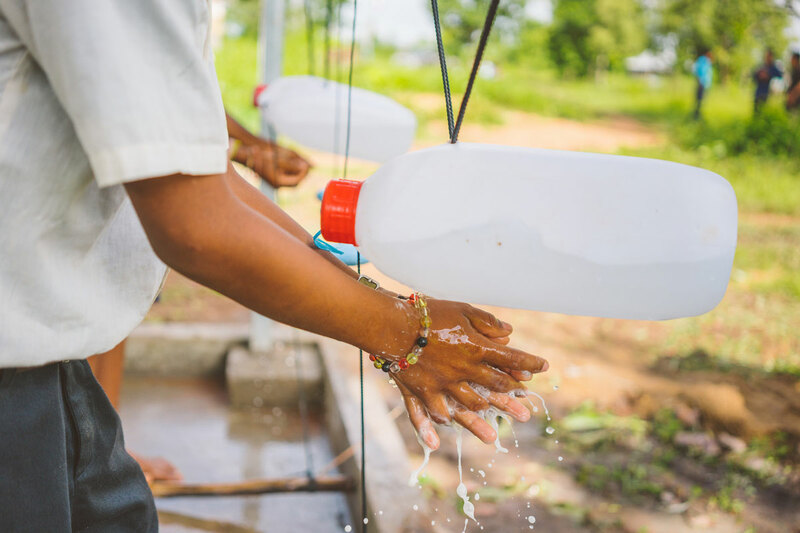 One child washes his hands in a “tippy tap,” a handwashing device in Cambodia. #8. People in the United States are expected to live 18 years longer, on average, than those born in Sub- Saharan Africa. Life expectancy at birth is an important measure of the overall health of a country. It’s influenced by employment rates, quality of education, access to health care, and more. While the average person in the United States lives to be 78, the average person is Sub-Saharan Africa lives to be 60. The divide is the greatest between Monaco, Europe and the Republic of Chad in Central Africa. While someone born in Monaco can expect to live to 89 years, someone born in Chad will, on average, see 50 years of life. #9. About a third of the UN’s Least Developed Countries are also the least evangelized countries in the world. As a matter of correlation, 1 in every 3 countries listed by the UN as those with the least socioeconomic development are also those that have had little Christian influence. 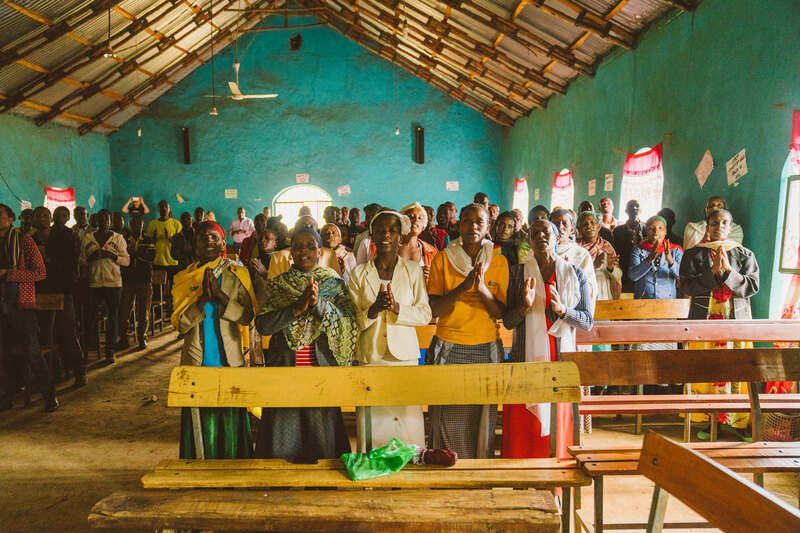 A community worships together in their church. Overcoming poverty is a complex endeavor that the world isn’t finished with yet. Rural populations still disproportionately live with the hardships of extreme poverty, and thousands of children are lost each day due to preventable illnesses. Poverty alleviation efforts in the past have been guilty of exacerbating the problem—providing aid when development and/or rehabilitation programs would be more apt a solution, and failing to listen to the needs of communities. This, overwhelmingly, shames, disempowers, and invokes feelings of inability among the poor. Clean water lays the foundation for poor communities everywhere. It frees people from waterborne illnesses that inhibit work, costs communities in health clinic fees, and prevents children from attending school. It is essential to stepping out of poverty. Clean water, however, is not maintainable without water access, sanitation, and hygiene practices (WASH) that keep water safe. Read the 2018 WASH Report. There are many incredible organizations working to end extreme poverty through the implementation of WASH programs and the construction of safe water points. At Lifewater International, our programs focus on sustainable community development. Lifewater exists to provide safe water and improved health in such a way that the strengths already present in a community are realized, and community members take ownership of their own futures. Learn about how Lifewater is helping rural communities realize their own God-given potential through our Vision of a Healthy Village approach, and download the 2018 World Poverty Report to share with others.